N.A. 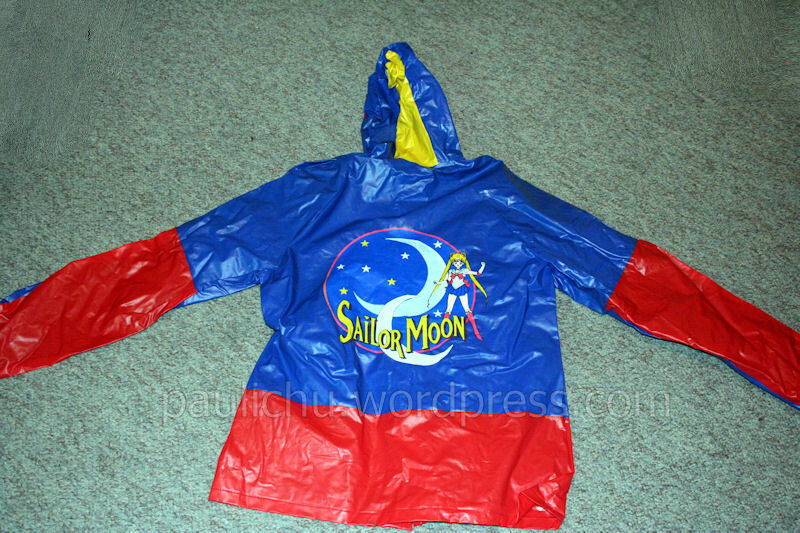 Rain Jacket – MoonFigures Collection, Art, and Reviews! Manufacturer: The Home Game Inc. 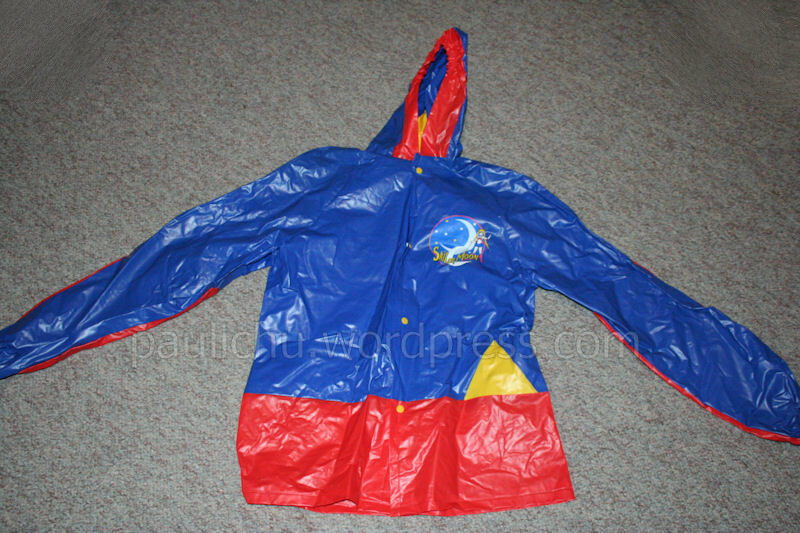 These rain jackets are rather thin, and I’d only suggest them for warmer days if you buy them for your kids. The jacket looks rather big, and that’s because it is. The size of this one is 14, and despite the fact that it’s for children I could probably wear it if I was a couple pounds lighter. If you are a small adult girl looking for one of these then I suggest it, but only if you find it for a good price in the case that it doesn’t fit.